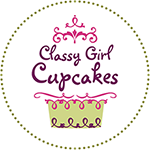 Classy Girl Cupcakes is Milwaukee’s premier boutique cupcake bakery and caterer with two locations- Cathedral Square in downtown Milwaukee, and Brookfield Square Mall. We’re also about to open a third location, concessions at the new Routine Field in Franklin, home of the Milwaukee Milkmen baseball team. We have an immediate opening for a part-time Delivery Driver to work mornings during the week. This is a great opportunity for a college student who can deliver before or between classes, stay at home parent of a morning kindergartener, or someone with a second shift job. We can work around your schedule as long as you have some morning availability during the week. Duties include local cupcake and cake deliveries, typically between 9am-12pm, though if you’re available in the afternoons we do sometimes take afternoon deliveries. Opportunity for additional evening hours delivering to Routine Field, and weekend hours delivering and setting up wedding cupcakes on location weekends if interested. Willingness to travel throughout southeastern Wisconsin is required. The ideal candidate is responsible, punctual, organized and detail oriented, with a sunny disposition and can-do attitude. Must have reliable vehicle with valid drivers license, proof of auto insurance, and a cell phone so we can contact you on the road. Delivery mileage reimbursed at current IRS rates, plus hourly wage.